Sheilacakes: Show Me St. Louis! Recently, my family had the opportunity to visit St. Louis. I feel so lucky that the St. Louis CVC picked my family to take such a wonderful trip. I am so excited to share all about my trip with you guys. I spent quite a bit of time planning my trip using the Explore St. Louis website. I picked out where we wanted to eat and what activities we wanted to do. I wanted to do so much stuff. I wanted to take in the full experience of St. Louis during our trip. If I were to write it all in one post it would be so incredibly long so I will have to break it up in to multiple posts because I have so much to tell you. I want to start off by telling you some information about the St. Louis CVC. They are the go to ultimate resource to use when you are planning a trip to St. Louis or even if you live there and are looking for new places to visit or restaurants to try out. The website was extremely helpful when I was planning the meals and activities for our trip. There was so much information. I felt like I could get a feel of the places by the descriptions. There are so many different kinds of restaurants in St. Louis. There is definitely something for everyone. I think anyone’s palette could be satisfied in St. Louis. If you only like one kind of food they have many different restaurants to eat at. I think the hardest part of planning my trip was figuring out exactly where we wanted to eat. There were tons of restaurants that sounded so good. I even asked the rep I worked with about some suggestions as to where we should go because she lives there. I figured why not ask a local person. Her suggestions were spot on delicious. As most of you know I love to eat. I am so glad to report that my tummy was very happy every day of our trip. There is a whole section of things to do on the website. There is a lot of information about each activity and you can really get a feel of if it is something you would like to do. We had so much fun at all the places we visited. They were all so different and Noah loved doing each one. We looked forward to each thing with huge smiles on our faces. Definitely something to help decide what you would love to see while you are visiting. St. Louis is one of those cities that there is so much to do that you wouldn’t possibly know about everything without some help. You could live there for years and not know about all the awesome things to see. When you go on a trip for business or pleasure you have to stay somewhere. There are so many hotels to choose from and the St. Louis CVC website has information about all the hotels in St. Louis and they include links to the hotels website so you can look at pictures and the amenities. I personally think that it is good to look at pictures of where you are staying before you go. You don’t want to end up at The Bates Motel do you? I love that there are ratings of the hotels. If you are a hotel snob like me who will only stay at a nice hotel it is important. Another cool feature is you can click book a room from the St. Louis CVC website so it makes finding out where to book your room easy. That would be great in a hurry. There will be more posts about my trip to St. Louis. If you are planning a trip to St. Louis you should check out Explore St. Louis to make the most out of your trip. Stay tuned for more about our adventures in St. Louis. 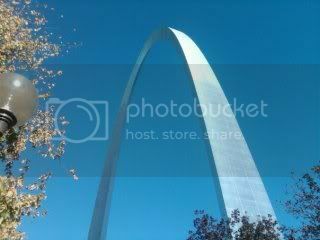 This trip was sponsored by the St. Louis CVC for my family to come visit St. Louis, my thoughts and opinions are my own. Looks amazing and sounds even more amazing! My family has been to St. Louis several times and loved it! Glad you had a great time!